The Ultimate Tow Rig - Amazing 2017 Duramax Suburban! Whenever a brand new vehicle has just been launched, we all love to take a look at it and all its details about. 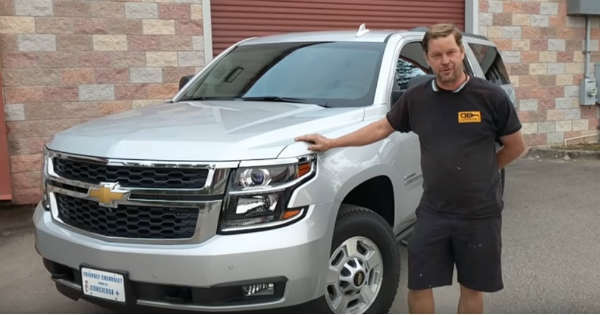 Moreover, it is even better when the vehicle is unique and not many are going to be made, hereby, in this video we take a look at the one and only beast, a vehicles that is capable of overreaching every obstacle, the 2017 Duramax Suburban. Yes, we finally get the chance to see this Chevrolet monster in action and take a look at some of its amazing aspects and features. At first look, the 2017 Duramax Suburban does not have any exceptional changes or features on the exterior and it looks just like every other such car. It has a 6.6l diesel engine which seems very robust and durable. We even get the chance to see under the hood and some of the changes that have been made there. But prepare yourself for what is inside the 2017 Duramax Suburban. It looks absolutely gorgeous, clean and high-quality. You are also going to find some of the features that are fairly common for the brand new vehicles that are coming out each year. After taking a look at every aspect on the inside, it was finally time to take this monster for a test drive. The vehicle is also equipped with a . It is absolutely a true pleasure to see this monster in action. What do you think about it, how powerful it actually is?